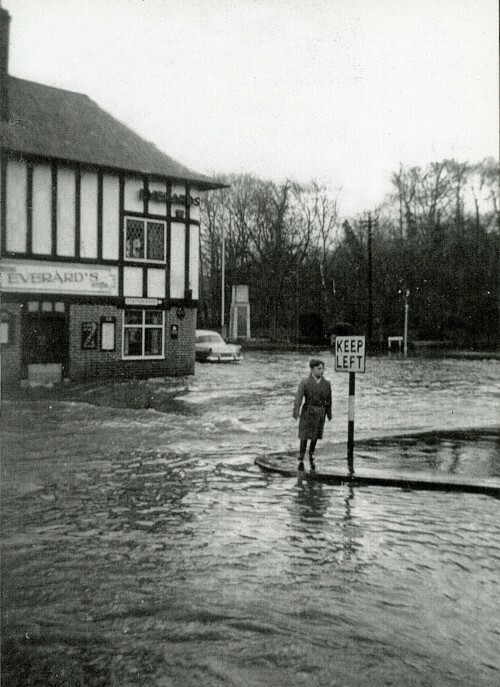 Flooding at Quorn Cross was a regular occurrence until flood prevention measures were gradually introduced. The White Horse pub in the background used to be one of the first victims. This photograph was kindly lent to Quorn Village On-line Museum for scanning, by Barry Montgomery, who was landlord of the White Horse pub from 1982.